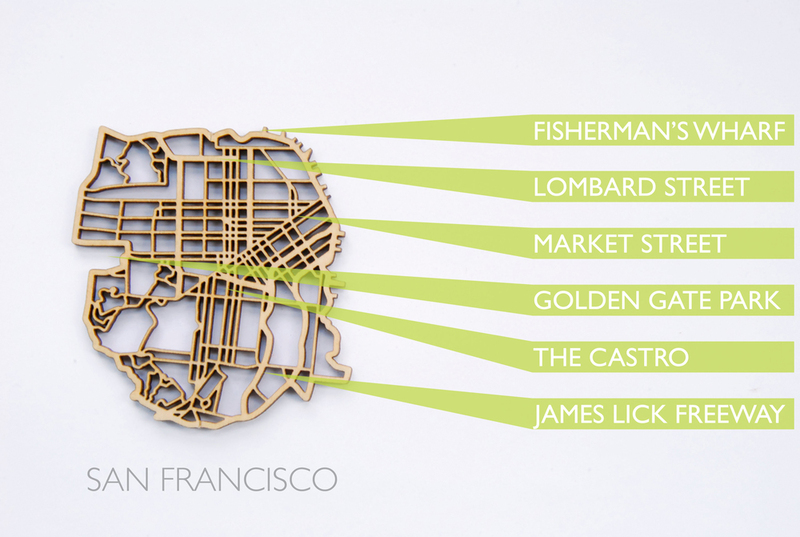 A celebration of our favourite design cities in the United States. 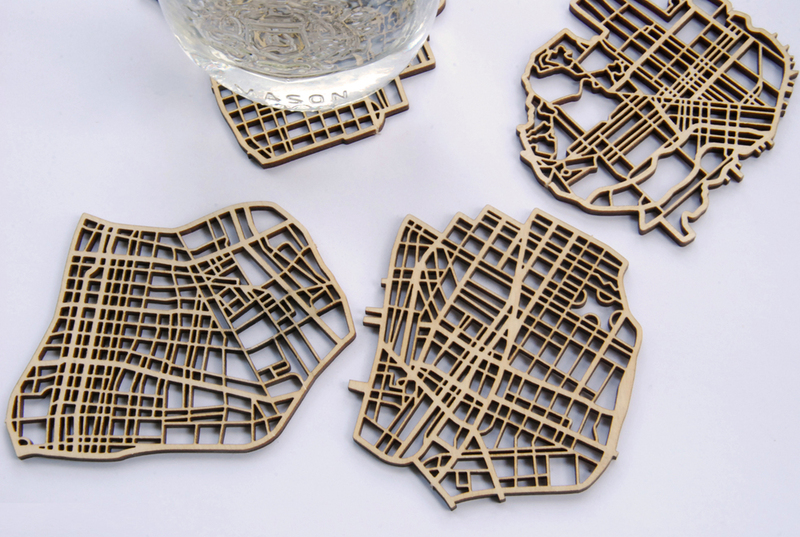 From West to East coast this set of coasters features maps of San Francisco, Los Angeles, Chicago, and New York! 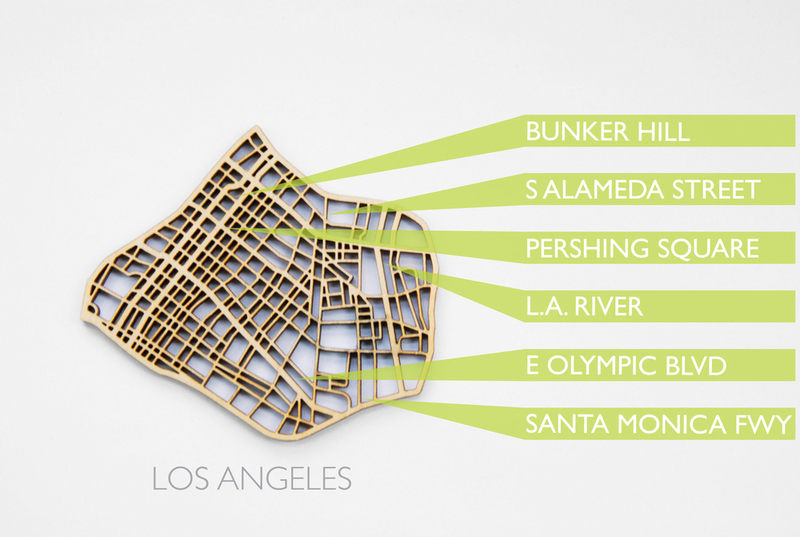 Laser cut from 3mm birch plywood, the coasters are shipped in sets of four in a removable wooden backing, and accompanied with a hand-screened print of each city’s outline. These coasters are available now in our store.